According to foreign media reports, analysts with BlueFin Research Partners say Apple’s chip supplier TSMC will start producing the A11 processor in April 2017 using its advanced 10nm process. In TSMC’s roadmap revealed in September 2016, the company claimed it would churn out 10nmchips by the end of 2016, one year ahead of leading semiconductor vendor Intel. Besides the A11 processor, BlueFin says the A10X processor which will power Apple’s next-generation iPad models and MediaTek’s high-end Helio X30 chip will also be built on TSMC’s 10nm technology. The production of the A10X and the Helio X30 will be earlier than the A11. Compared to the A11 processor, shipment volume of A10X and Helio X30 is relatively small. That means the share of 10nm chips in TSMC’s total chip shipment will remain low until the A11 processor is shipped. To meet demand from new iPhones, Apple will need a large number of the A11 processor based on 10nm technology. Therefore, TSMC needs to ensure that sufficient production capacity is available. 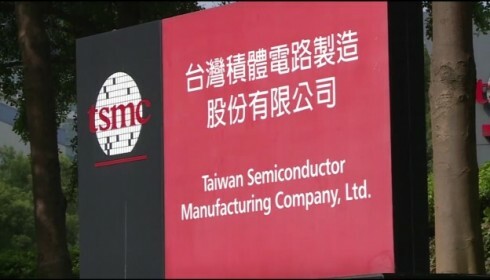 Unable to provide production capacity required by Apple will affect TSMC’s revenues. On top of that, Apple may work with another chip supplier to ensure sufficient supply, which will be good news to TSMC’s menacing rival Samsung. Apple has relied on TSMC’s 16nm FinFET process for its A10 Fusion chip inside iPhone 7, the A9 chip inside iPhone 6s and iPhone SE, and the A9X chip inside the 12.9-inch iPad Pro launched in 2015. Given that TSMC’s 10nm process will be used to manufacture Apple’s A11 chip and A10X chip as well as MediaTek’s Helio X30 chip and HiSilicon’s Kirin 970 chip, ensuring steady production capacity will play a key role in TSMC’s efforts to maintain its leadership in wafer fabrication in 2017.